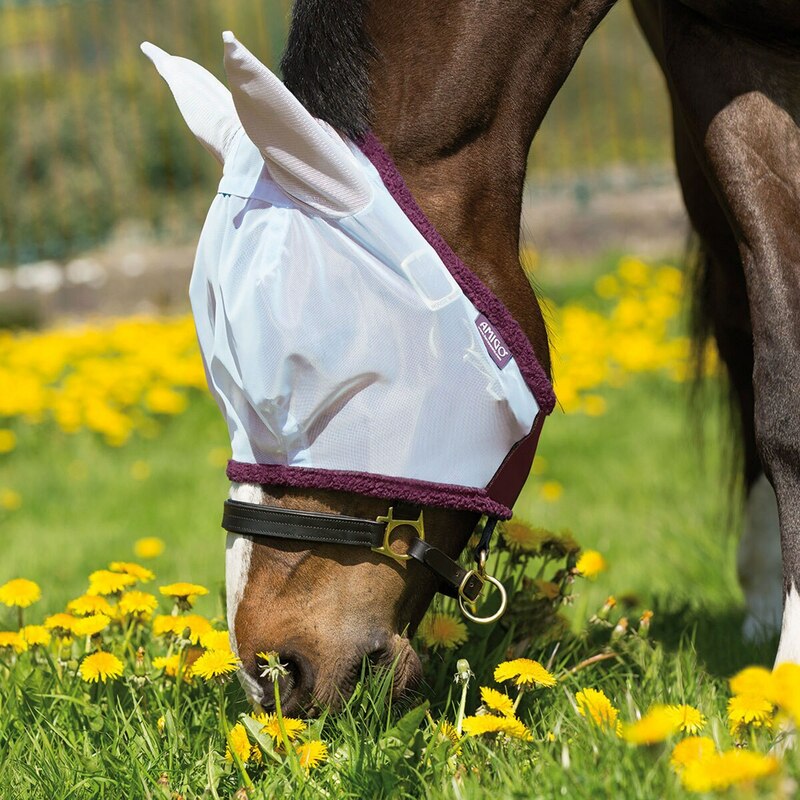 The Amigo Fine Mesh Fly Mask with ears is ready to help you battle those pesky flies this coming season! 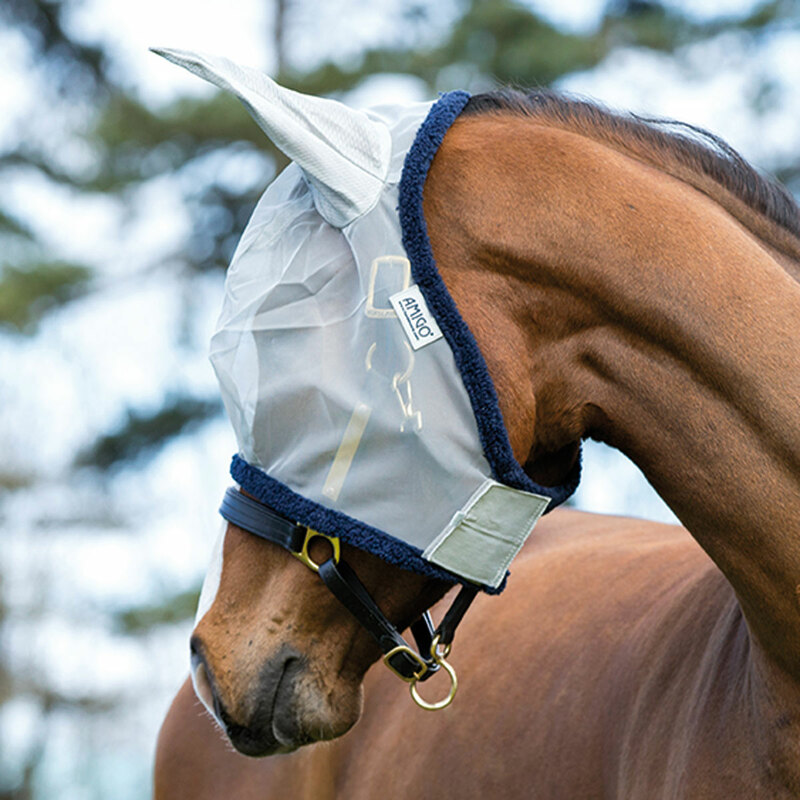 Lightweight and stretchy, it protects from flies with its contoured fit and large, soft ears. Breathable, fine mesh outer with soft fleece binding makes sure your horse stays comfortable. Amigo Fine Mesh Fly Mask w/ Ears is rated 2.3 out of 5 by 20. Rated 1 out of 5 by Beth21 from Way too big Ordered cob size as I know horseware brand can run big. These "cob" sz were large enough to fit a draft horse. Rated 3 out of 5 by Nelson pain from Another one bits the dust My gelding hates fly mask and refuses to wear them. I was hoping that the light weight amigo might do the trick. No it was gone by evening despite the fact I thought it fit well. I am giving up on this horse for a fly mask. I know there is a hollow in a tree somewhere in my pasture that a dozen fly mask have been hidden. Rated 1 out of 5 by kjdavis2015 from WAY too big! I bought this a little bit ago, bought the Cob size because my pony wears Cob halters & bridles. It's come off everyday in the pasture as it is FAR too big. I've even tried it on my Thoroughbred and it's too big (he wears Full & oversize!). Very disappointed because I like the material and it was customized. Rated 5 out of 5 by reiner from Super nice, My horse can see much better!! Outstanding, fits better and I like the fact that it is easier for her to see! Rated 3 out of 5 by newjersey from Amigo Fly Mask Mesh TOO BIG It is absolutely huge. I have a big warmblood horse and it is still big. Rated 1 out of 5 by Disappointed from not a good deal I bought horse size but it looks like it is mule size, the ears are huge! Also, it is flimsy and falls off the head easily. Inexpensive but not a good value. Rated 1 out of 5 by Ftzy from Worthless Just purchased this for my horse after he got a few pulls in the one he's been wearing for close to 5 yrs. It was worn one night, and one night only. It already has a sizable rip in it. While it's certainly not expensive, it costs way too much for single use.